Abner Herrman & Brock has offered investment services for over three decades and it has a current portfolio of $340 million, as per its recent SEC 13F filing filed on October 9, 2014. Merck & Co., Inc. (NYSE:MRK), The Walt Disney Company (NYSE:DIS), The Boeing Company (NYSE:BA) are among the top three investments of the group. The top 10 holdings of Abner Herrman & Brock account for 30.54% of its total fund value. Abner Herrman & Brock owns 265,643 shares of Merck & Co., Inc. (NYSE:MRK) with net market value of $15.7 million. The drug manufacturer sold its consumer care unit, Merck Consumer Care, for $14.2 billion to Bayer AG. The acquisition gives prescription rights of some important over-the-counter drugs including CLARITIN™ and AFRIN™ to Bayer. Merck & Co., Inc. (NYSE:MRK) is likely to use the money for improving its current portfolio of drugs and invest more money in research. Fisher Asset Management ($373 million), Arrowstreet Capital ($306 million), and Adage Capital Management ($295 million) are among the top investors of Merck & Co., Inc. (NYSE:MRK). The Walt Disney Company (NYSE:DIS) is the second primary stock holding of Abner Herrman & Brock with investments worth $10.7 million and 120,647 shares of the company. 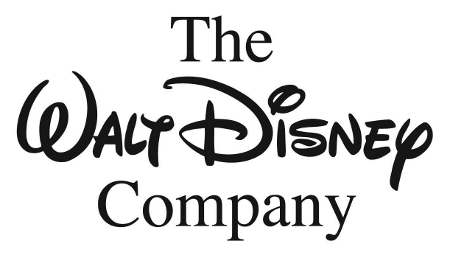 During the third quarter ended on June 28,2014, The Walt Disney Company (NYSE:DIS) reported net revenues of $12.46 billion and net income of $2.24 billion. Soroban Capital Partners is the primary investor of The Walt Disney Company (NYSE:DIS) with investments worth $857 million and Fisher Asset Management ($723 million) along with Lansdowne Partners ($708 million) fall under the secondary investors of the company. The Boeing Company (NYSE:BA) is the third largest stock holding in Abner Herrman & Brock’s portfolio with investments worth $10.6 million. The commercial and defense plane manufacturer released its delivery plan for third quarter 2014 with 186 commercial airplanes for the quarter including majority of 737 Next Generation aircrafts (120). Adage Capital Management stands first in terms of its investment in The Boeing Company (NYSE:BA) followed by Scopia Capital and Greenhaven Associates.